Originally from Cleveland, Ohio, Alan moved to California in 1972 to pursue his photographic career. 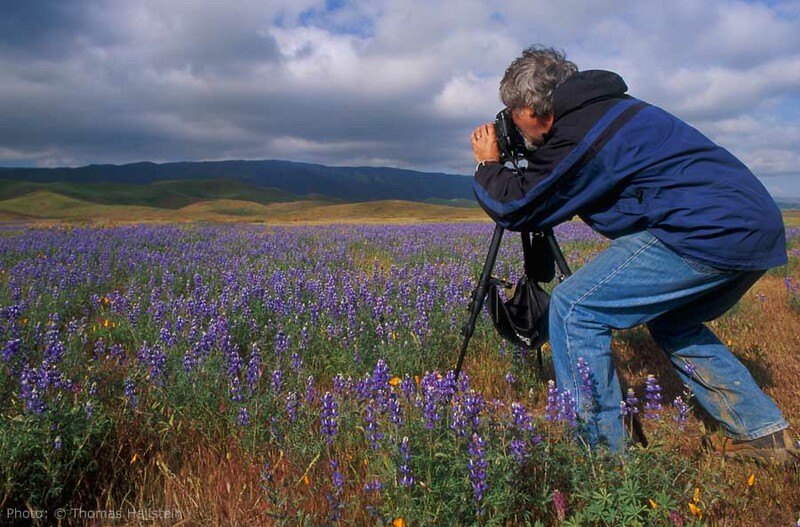 Commencing in commercial photography, specializing in portraiture, it wasn't long before the beauty of California's majestic scenery made a dramatic impact on Alan's photographic vision. Over his career, Alan has studied with numerous internationally renown photographers including the late Galen Rowell, Chris Burkett and Lou DeSario. Alan has initiated a "green" approach to his photography. With 27 years of darkroom experience in producing fine art prints, Alan, like many other photographers, was limited to utilizing traditional, potentially hazardous, photographic chemicals. Alan is now using the chemical-free, Giclee process, which offers the additional benefit of 100+ year archival life to the finished prints. With the unprecedented level of control available in today�s digital world, Alan has transferred his years of darkroom experience into preparing his images in Photoshop. However, no images are altered beyond what was available in the traditional darkroom. Being from the "old school" of photographers, Alan is a firm believer in the "hands on" approach to producing his images; committed to the creative process, commencing with the visualization of the scene before pressing the shutter and continuing until he has created a print that matches his original vision.